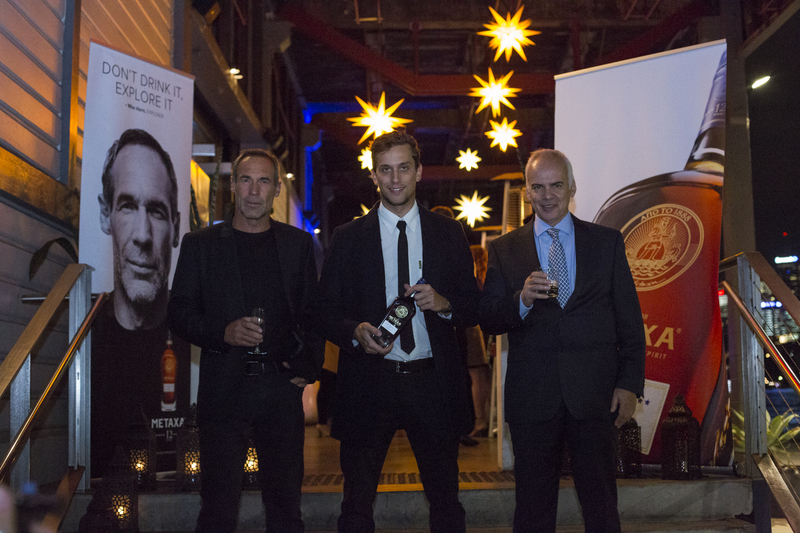 METAXA Master Distiller, Costas Raptis and Brand Ambassador, South African Explorer Mike Horn were recently in Australia to launch METAXA 12 Stars. Drinks World caught up with them to discuss the not only unique liquid but exploring the world. Drinks World: What brings you to Australia? Costas Raptis: We are launching to the Australian market is METAXA 12 Stars, and this is why I am here. Australia is a young continent, built by adventurous explorers. The notion of exploration is embedded in the country’s DNA. So, what better a country to propose a spirit, that invites you to explore? Mike Horn: I’m currently completing my Pole2Pole expedition where I go around the world via the South and North Pole. I have just finished my solo crossing of Antarctica by foot and the first point of land after Antarctica is Australia so that is why I’m here. DW: Tell me about the liquid, how would you describe it? MH: The METAXA 12 Stars moto is “don’t drink it, explore it”. I believe that is what I do when I drink METAXA 12 Stars. As a professional explorer I use my senses to discover new places, in addition to that when I explore the taste of Metaxa 12 Stars I use my; sight- to capture my attention of the bottle and liquor, smell- to engage my nose in the aromas of the liquor as I pour it into the glass, taste- I use my mouth to absorb all the flavours of the dried roses, honeyed figs, and prunes, dark chocolate and dried orange. CR: METAXA is a one-of- kind amber spirit. I craft METAXA by bringing together grape distillates aged in Limousin oak casks, fine Muscat wines from the island of Samos and a secret bouquet of May rose petals and Mediterranean botanicals. All the METAXA styles are characterised by their intense, smooth and aromatic character. METAXA 12 Stars is, I dare say, a complex and mature expression of our House’s style and a true testament of our savoir faire. DW: Do you have a target market in mind? What type of on-premise venues are you looking at having METAXA stocked in? CR: The clients that we want to attract with METAXA 12 Stars, are those we define as “everyday explorers”, curious, open-minded young men and women, who I am sure thrive in this country. METAXA 12 Stars’ versatility through its complex flavour makes it the perfect base for cocktails, as well as being sipped neat. The best-suited On-Premise venues for METAXA are cocktail bars, hotel lobby bars and places where bartenders like to experiment with flavours, or enjoy making simple twists on classics. DW: How many expressions are currently in the core range? 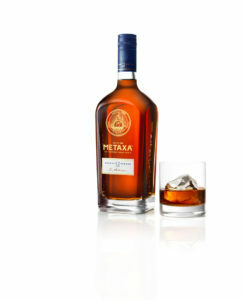 CR: In our core range we include METAXA 5, 7 and 12 Stars as well as METAXA Private Reserve, and METAXA Angels’ Treasure. Not all of these necessarily co-exist in every market, and of course there are limited, or collectors’ expressions, like the METAXA AEN or METAXA Grande Fine. Our ambition for the years to come will be concentrated on developing METAXA 12 Stars, the expression that we think best represents us and is best suiting the curious drinkers of today. DW: How do you see bartenders using the liquid? Cocktails, neat serves etc. Other than neat or rocks, what other ingredients do you believe go well with METAXA? CR: In my travels, I have had the opportunity to see METAXA in some of the best bars in the world, and to inspire many, talented bartenders to experiment with METAXA. Depending on the style or the moment, one may choose to savour it neat, with ice, in long drinks and cocktails. For METAXA 12 Stars, in particular, my advice is to enjoy it neat, or with one-or two ice cubes. I always stress that METAXA does not need a lot of ice, one or two rocks will do the trick. My personal favourite is a METAXA 12 Stars with one ice cube and an orange peel. For the cocktails, my advice is to explore, the combinations for every METAXA style can be endless. Just the other day I had in a bar in Athens an amazing cocktail with METAXA 12 Stars, a twisted Manhattan, with sweet vermouth, black walnut bitters and orange bitters. DW: Will METAXA 12 Stars be available in the off-premise (retail) market as well? CR: METAXA 12 Stars will be available in the off-premise, via Dan Murphy’s Connect, First Choice and selected Independent Retailers. DW: What type of person/demographic do you view as the ideal METAXA drinker? MH: Metaxa 12 Stars should not be restricted to a certain gender or age. I believe this beverage can be drunk by anyone however it should be poured over some ice with a slice of orange. The environment where you drink Metaxa 12 Stars can be any place where you feel at peace with yourself using your senses in nature. CR: It’s not about gender, nor age, nor demographics – it’s about mindset, attitude and behaviour. The ideal METAXA drinker is independent and free. They are the explorers of this world and they are the ideal METAXA drinkers.